What might you see on your trip? We typically see four types of sharks in our area. White-tip reef sharks (tiburón de arrecife de punta blanca), nurse sharks (tiburón gata), the bull sharks (tiburón toro) and whale sharks (Tiburon ballena). 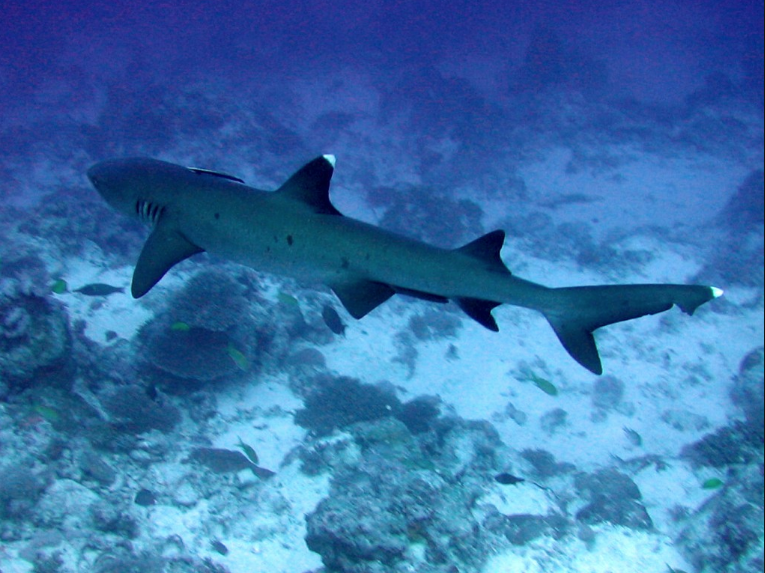 We have a chance to see white-tips and nurse sharks at most of our dive sites. Catalina Islands and Tortuga are breeding grounds and nurseries for the white-tips. Sharks do not take care of their young. When they are born they have the instincts to take care of themselves. The gestation period for the white-tips is about five months. They get quite large with pregnancy and looks bothersome to swim around when it is getting close to their due date. She gives birth to two or three live sharks, each being around two feet long. Nurse sharks carry eggs inside her body until they hatch and then she gives a live birth. The gestation period is about six months and she will give birth to around twenty-five pups that are about a foot long. Female bull sharks do not reach sexual maturity until they are eighteen years old. The gestation period is ten to eleven months and she gives live birth to one to thirteen pups that are up to twenty eight inches long. The best location to see the bull sharks is at Big Scare, Bat Island. Whale sharks can be seen at any of the locations in the Gulf of Papagayo and can be seen during any time of year…just depends on your luck. Diving or snorkeling with a whale shark is truly a special experience. 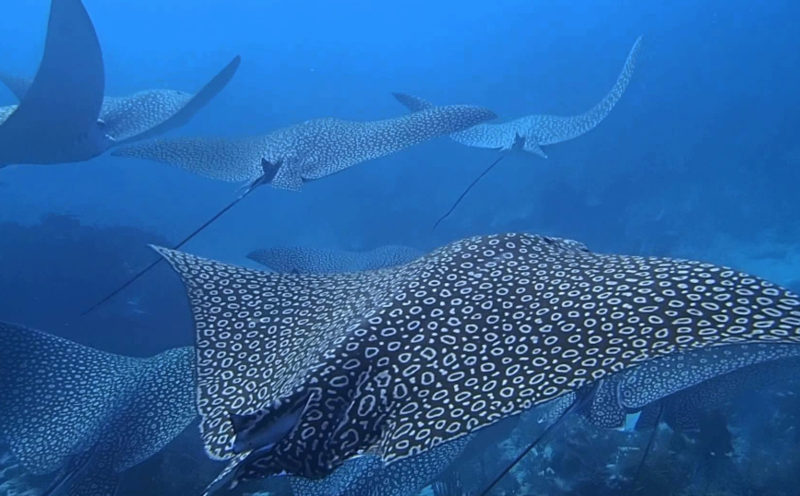 We see many types of rays…The majestic pacific manta rays, southern stingrays, eagle rays, devil rays, cow nose rays (golden rays), butterfly rays, bulls eye rays, guitar rays, shovel rays and some electric rays when the water is cold. The best time to see the manta rays is from December through March. We can see them at Catalinas Islands and at the local dive sites such as Argentina Point, Virador and Monkey Head. We can also have a chance to see them at Bat Islands from May through September. We see most of the rays at all of our dive sites. Pretty cool to see them lined up at a cleaning station waiting to be cleaned. It is common to see the devil rays jumping out of the water as if they are playing a game. Turtles We are lucky to see four types of turtles in the Papagayo. The most common are the olive ridley (tortuga lora), hawkbill (tortuga carey), and pacific sea turtle (tortuga negra). When we are really lucky we can see the humongous leatherback turtle (tortuga baula). It is quite common to see the olive ridley on the surface mating all year. There are several nesting areas for the turtles including Bat Islands, Ostional, and Playa Nancite (Witches Rock). The turtles nest all year, but the best time to see them is during the rainy season. The annual arribada occurs on a dark night about a week before the new moon during the rainy season…April through September. This is when hundreds of thousands of ridley turtles come to the beach to lay their eggs. The hatchlings make their trek to the ocean about 45-54 days later…depending on the temperatures of the sand. Turtles reach maturity at about fifteen years of age…pretty amazing. Puffers People are always amazed at the number of puffers we see on our dives…they are everywhere. We see huge colonies of freckled porcupine puffers…some are swimming around and some wedge themselves in the cracks and crevaces of the rocks. They are very cute and sometimes like to photobomb the camera with their cute smiling like faces. Other species are the huge spotted porcupine puffer, spotted green puffers, guineafowl puffers (both black ones and the golden phase), pacific box fish and the cute little spotted sharpnose puffer. It is puffer county in Costa Rica. 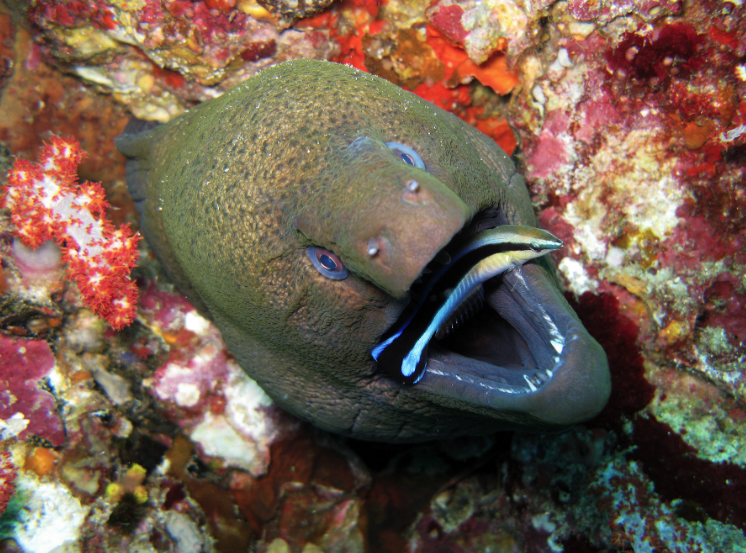 We also see a variety of eels at our dive sites including zebra eels, fine spotted moray, panamic green moray, jeweled moray, snowflake eel, white and grey speckled morays and the tiger snake eel. If the tiger snake eel feels nervous it will poke its tail into the sand and slowly inch its way back into the sand backwards until he has almost completely disappeared. Pretty weird. We can also see garden eels at Punta Gorda, the Catalina Point and Big Scare, Bat Islands…in the deeper waters. The most popular schools of fish are in the grunts family. There are many varieties, and all are very beautiful and fun to see…sometimes you can even get lost in the schools. The striped grunts like to form underwater formations and flow down like waterfalls and rivers. 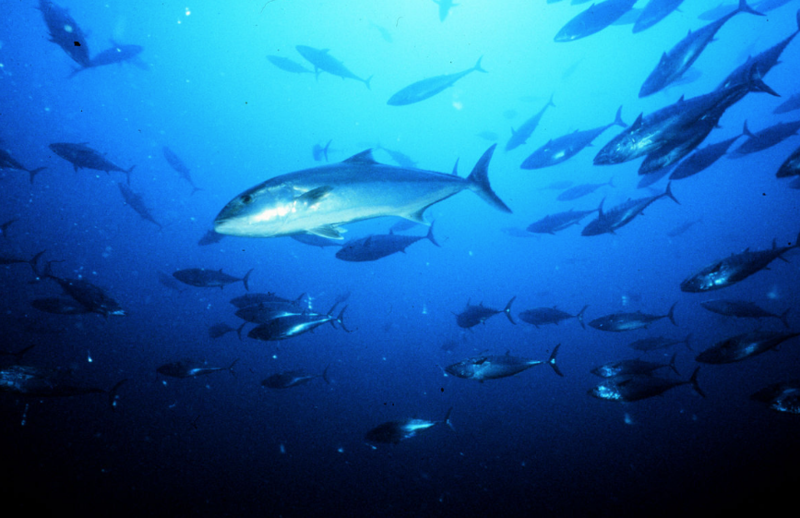 We also see huge schools of spadefish, horse eyed jacks, and surgeon fish. At some of the sites…the sergeant majors lay their purple eggs and the butterfly barbers; king angels and surgeon fish will follow us like a hungry pack and then devour the eggs in a feeding frenzy. Other cool critters include seahorses, octopus, starfish, urchins, nudibranchs and the harlequin shrimp. We have many cool critters to see in our area. Seahorses and pipefish are a favorite treat. They blend in so well that it is hard to see them. One of my good friends says you must feel their presence to see them. It is very common to see the octopus…they hide in the crevices, but many times they are out on top of the rocks hunting. It is cool to watch them swim and change their colors. They are the masters of camouflage. The harlequin shrimps like to eat the star fish…their favorites are the blue ones. They are beautiful to watch and a photographer’s delight. Nudibranchs are also common but very hard to see…you need a special lens on your camera to get a quality shot of these beauties. We have many other beautiful and interesting marine species…too many to name. 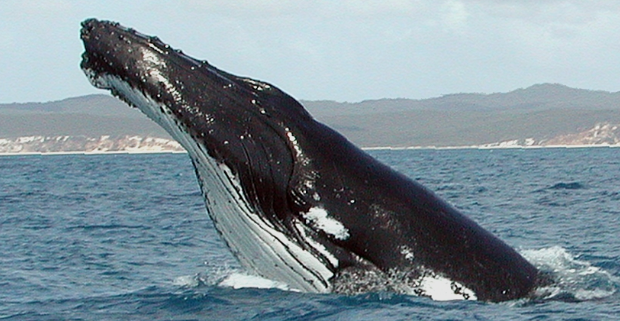 We have a chance to see the humpback whales all through the year. But my favorite time to see them is July through September when the mommas with their escorts come to the shallow coastal areas to teach the babies how to be whales. The calves must learn to control their buoyancy so that they can sleep under the water without floating to the surface, until they master this skill they will rest under the mama’s fin so that they don’t float to the surface. They also learn how to breach and can be quite acrobatic and very entertaining to watch from the boat. I love hearing them sing and talk to each other during the dives. Sometimes the sound is so strong and loud that you can feel the vibration in your body. You just know that any minute you might have the chance to see them during the dive. The orcas also frequent the Gulf of Papagayo as well as pilot whales and the spotted dolphins…these beauties can be seen any time of the year. Learn about our top local dive sites!